The WWF press release regarding the four Ecodebt films, one of which features TLG, is available HERE. Click on the links below to watch the films. WWF Eco Debt 1 features the X53 Jurassic Coast bus service, and the Turn Lyme Green campaign to reduce the use of plastic carrier bags. 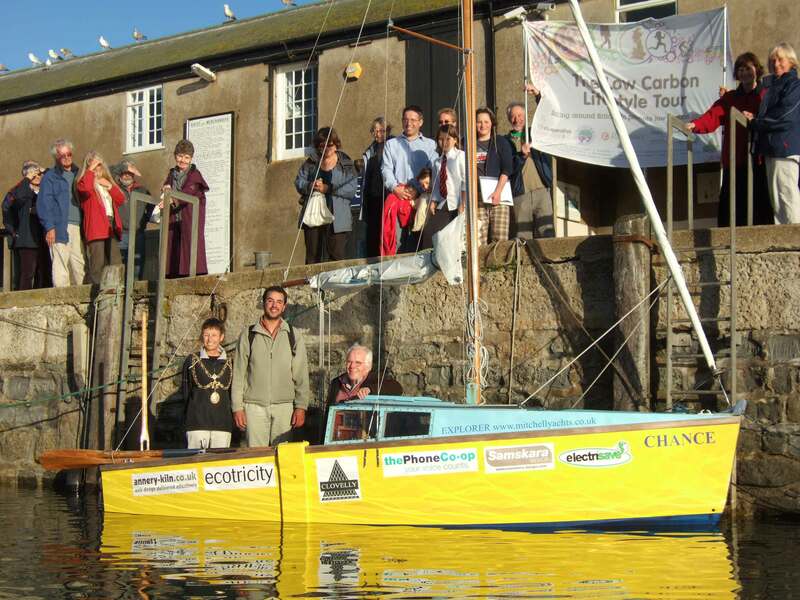 WWF Eco Debt 2 features hydro electric power generation at the Town Mill, Lyme Regis and a Community Land Trust building 10 sustainable houses in West Dorset. WWW Eco Debt 3 features low-carbon farming at Bookham Farm in Buckland Newton, and Fivepenny Farm’s food producing co-operative in Wootton Fitzpaine. 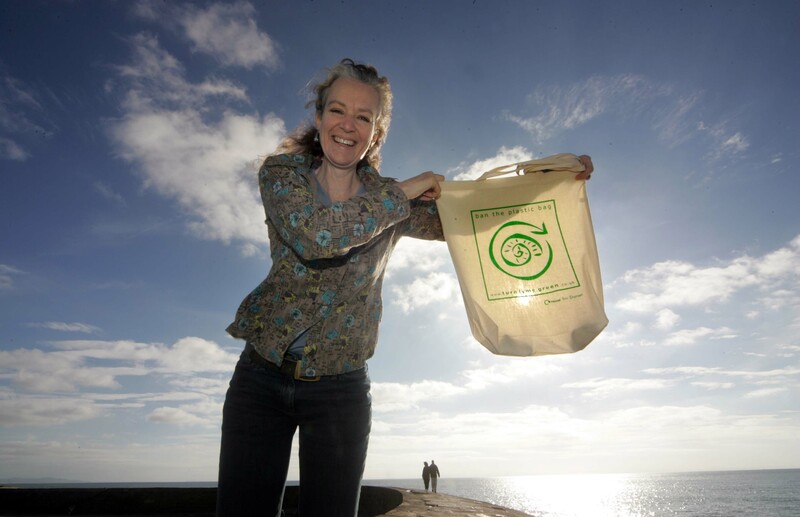 Shocked And Horrified of Lyme Regis takes WDDC to task over rubbish. See the article HERE. The animation film made by the pupils if St Michael’s primary school with the help of Biggerhouse Productions can be seen HERE. Also see a short film about the making of the animation made by Woodroffe student Dan Blaker at St Michael’s Primary School HERE. My year 6 class had a fantastic time working with Tom and Joff on the “Turn Lyme Green” animation film. All pupils were involved; they worked enthusiastically and their contributions were valued. 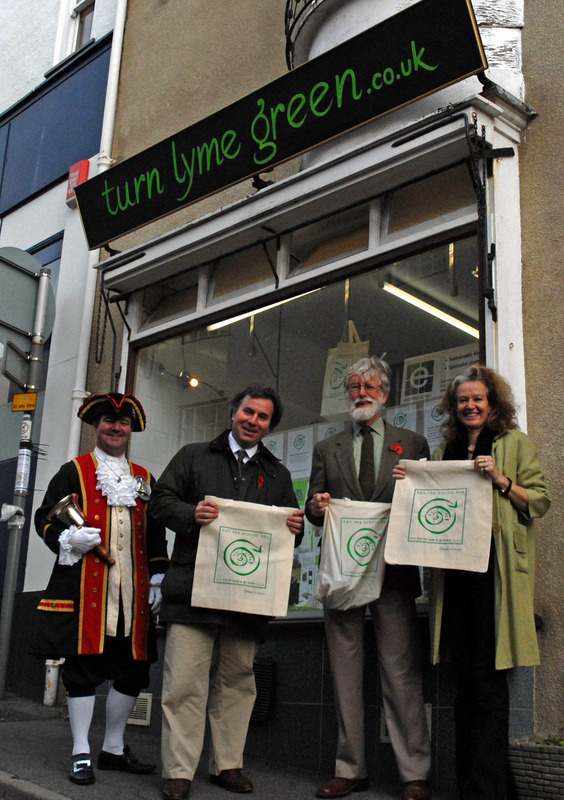 An article from the Lyme News about the tourist effort – read it HERE. A recent Western Morning News article looked at all the climate change and environmental action groups in the South West – read it HERE. 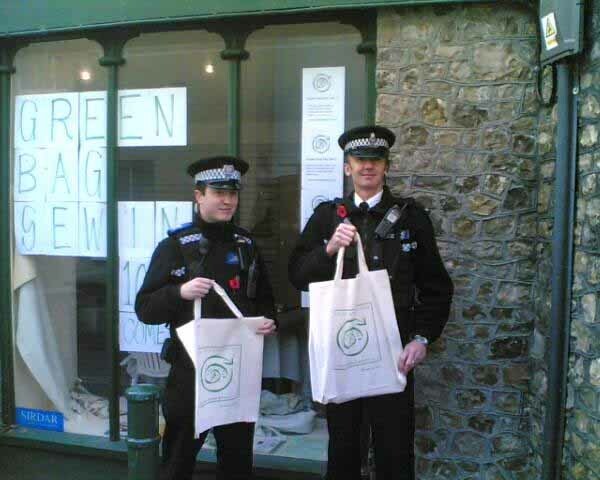 The Lyme News covered the Co-op’s chenge to more bag-freedom – read it HERE. 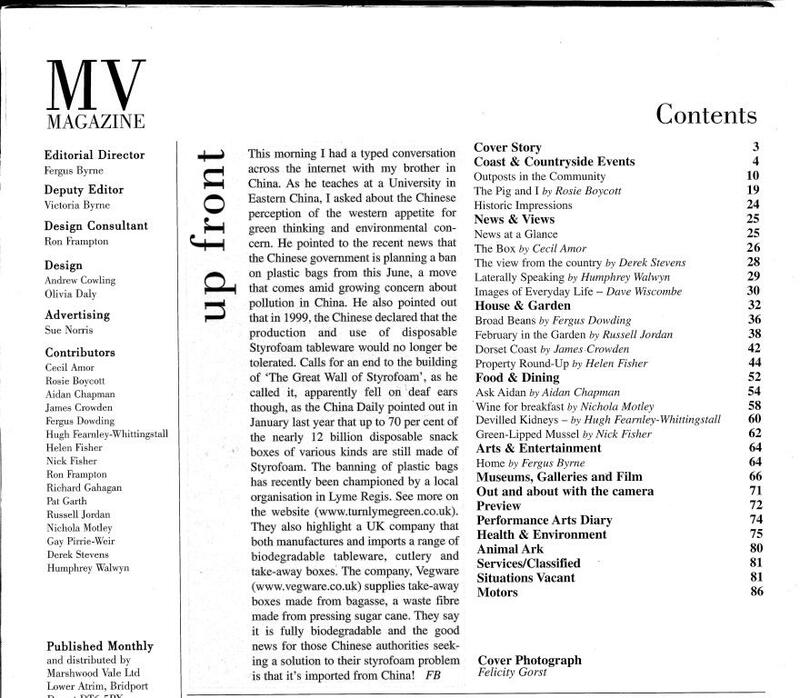 The Marshwood Vale magazine commented in it’s February editorial. Read the latest from our press desk HERE, and from the Bridport News HERE. We have received wide press coverage of our campaign – many of the articles can be seen HERE. Listen to the discussion at the Official Launch of TURN LYME GREEN which took place on 8th November at the Marine Theatre. 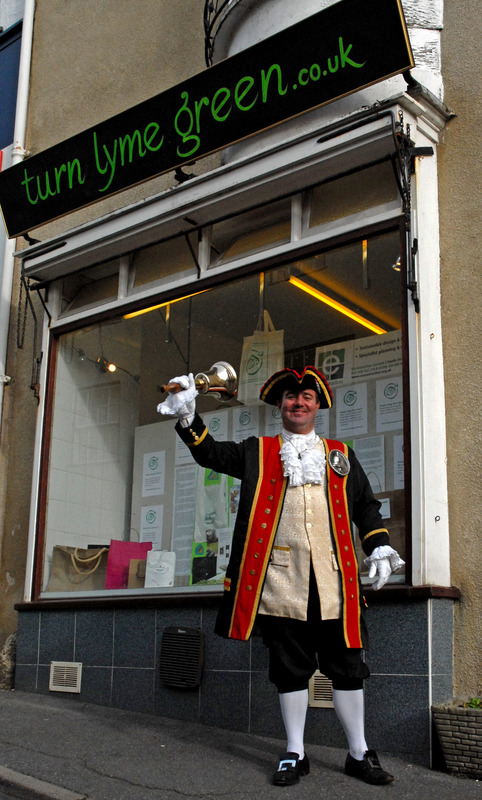 See our award-winning town crier Phil Street in action on 10th November at the GREAT GREEN BAG GIVEAWAY! Many thanks to everyone for their support on the day. We are all delighted that so many of you feel that this is an important issue, and have been so willing to put your words into action! For a picture of Oliver Letwin (MP), Prof. Sir Ghillean Prance (our patron), Town Crier Phil Street and Candida Blaker, outside our campaign headquarters CLICK HERE! PC Richard Winward with our Community Support Officer. Listen to the Friday Night Live discussions with Candida Blaker (2nd November) and Sarah Stacey (26th october). Our esteemed leader Candida Blaker has finally bowed to public pressure and had her picture taken by the Western Morning News. Click HERE! 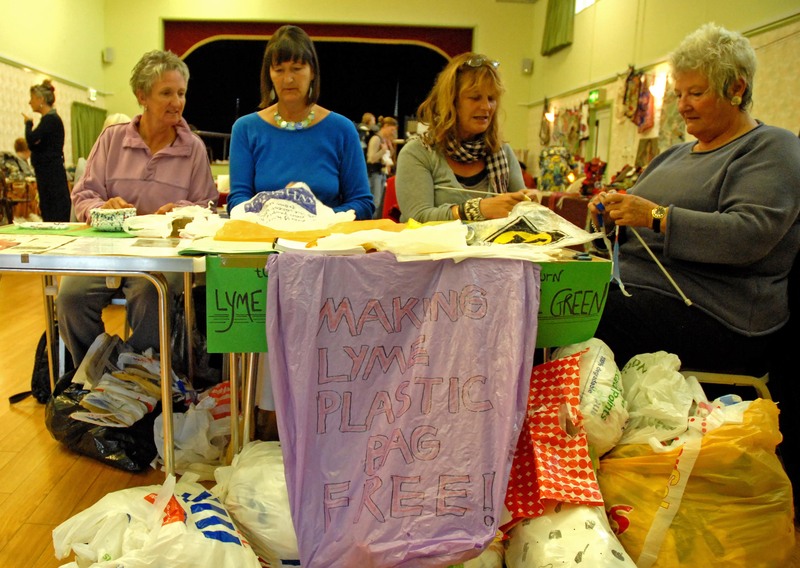 On Sunday 23rd Sept there was an event in Woodmead Halls – Crochet your own CarryBag – from recycled plastic bags at Textile Day, part of Lyme Regis Artfest (lymeregisartsfest.com). To see a picture from this event click here ! The talk given by Mukti at the Marine Theatre is available online. To listen, click HERE. WWW Eco Debt 4 features Bridport TLC’s successful recycling campaign.